Napoli vs Udinese predictions ahead of Saturday night’s Serie A clash. Can Napoli keep up their push for second place by seeing off Udinese? Read on for our match preview and free betting tips. Napoli are coming off the back of a defeat, but they were able to squeeze through their Europa League tie with RB Salzburg. They went through 4-3 on aggregate in that tie, after holding off a fightback from the Austrian champions. That has put the Partenopei into the next round to face Arsenal, a mammoth European tie. 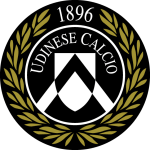 However, firstly, they’re back in league action this weekend, in a tough test for Udinese. The visitors were at Juventus last weekend, now they’re visiting the side in second on Sunday. Napoli are still pushing for a strong league finish, while they need to keep up their six-point lead over third-placed AC Milan. Finishing as runners-up is the goal for Carlo Ancelotti’s side, who are also hopeful of landing some silverware in Europe, despite having to plot a tough route to the final. The Partenopei are back at home in the league for the first time since their 2-1 loss to Juventus, which was a tough result after a good display. Will they build on that and return to winning ways? Udinese were hammered 4-1 by a second string Juventus side last weekend, so they should be concerned here. The Partenopei have the league’s second-best home record, while Udinese have lost seven of their 12 trips in Serie A so far. The away side have shipped nine goals across their last three on the road, while they’ve lost every meeting with the top four this term. Napoli have managed to keep things pretty tight at the back of late, but they are coming off a midweek European trip for this one. After their game in Salzburg, they are likely to have a tough time in this one. We can see them having trouble holding the Zebrette off here, but the Partenopei should be able to continue some great form going forward. The hosts have scored over two goals per game at the San Paolo this term in the league, while they’re coming off a 3-0 Europa League victory in their last game at this ground. The hosts have had a high scoring edge to them in recent years, which shows in their results against Udinese. They’ve won six on the bounce, while they’ve hit 14 goals across those meetings. They won 3-0 in a trip to Udinese earlier this season, while they hit four past the Zebrette in this fixture last season. We expect them to take advantage of a side who have clear issues at the back, given the rate at which Udinese are shipping goals. With that in mind, we’re backing Napoli to win with over 2.5 goals to be scored in the game. Napoli are unbeaten in their last seven Serie A home games against Udinese (W6, D1); the last time the Bianconeri won at San Paolo Stadium was back in April 2011 (1-2). Napoli have failed to win their last two games in Serie A – they have not gone three league matches without a win in the top-flight since February 2016. 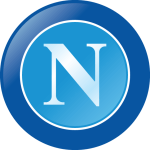 Napoli lost their last Serie A home game (vs Juventus) – they have not lost two consecutive matches at home in the competition since March 2009. Udinese have won two of their last three games in Serie A, as many as they won in the previous 18 in the top-flight. With Insigne’s goal against Sassuolo, Napoli have now scored their 16th goal in the last 15 minutes of Serie A matches this season; no team in the league has scored more. Udinese have conceded the most goals from penalties (eight) in the current Serie A campaign (including one in their last match against Juventus). Only Cagliari (1) have been leading in fewer away matches than Udinese (2) in Serie A this season. The first of Fabián Ruiz’s three Serie A goals this season came in their meeting with Udinese earlier this season – however, the Napoli man is yet to score a goal at home this season. Three of Kevin Lasagna’s four goals in Serie A this season have come away from home: The Udinese striker has scored more goals on the road than at home in each Serie A campaign in which he has featured.